Mobile app performance management company Crittercism publish a study on the crash rate for apps on iOS and Android (PDF). 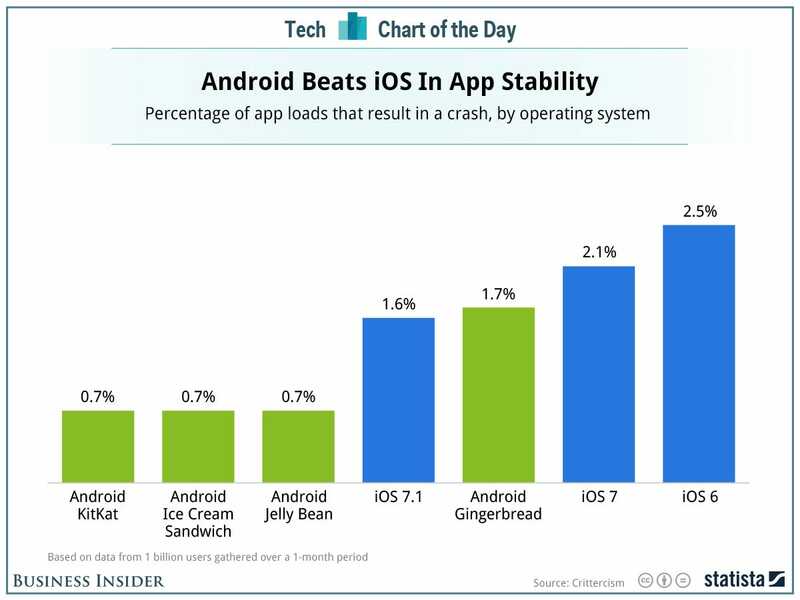 Somewhat surprisingly, it says that iOS Apps crash more than Android. Chart via Statista.